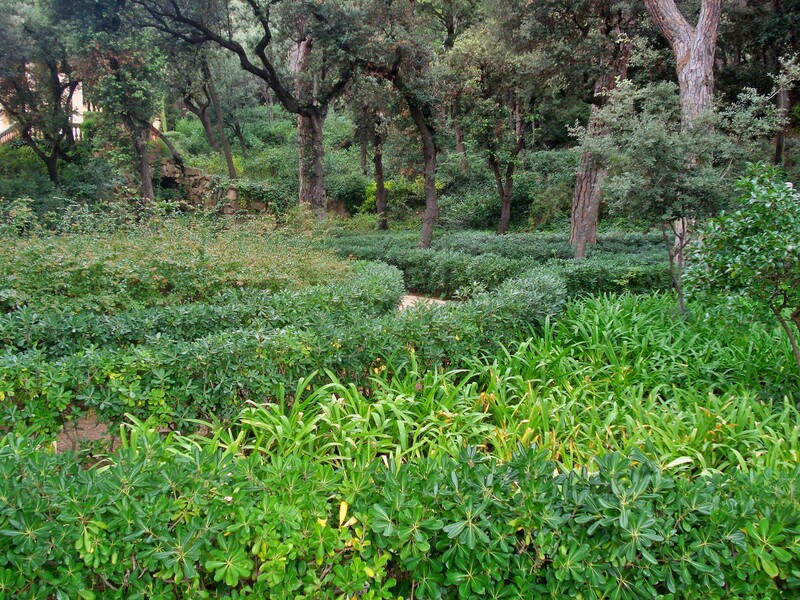 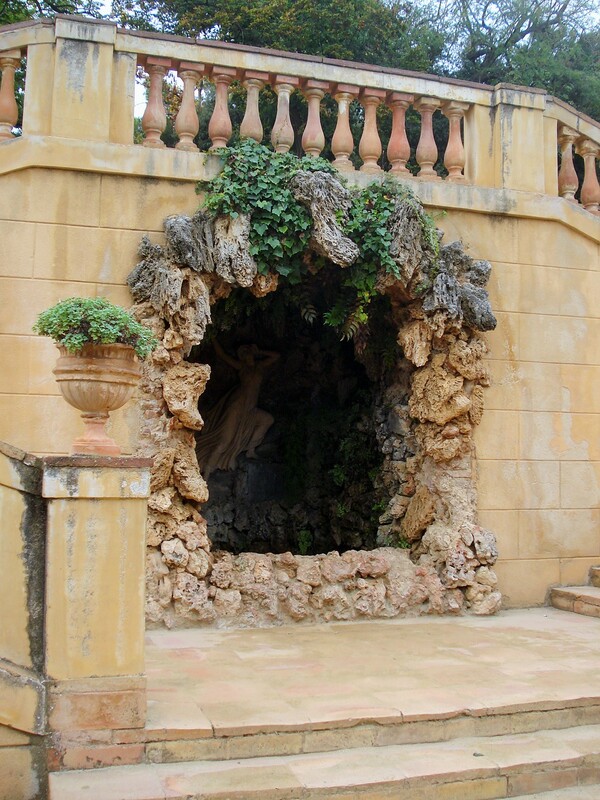 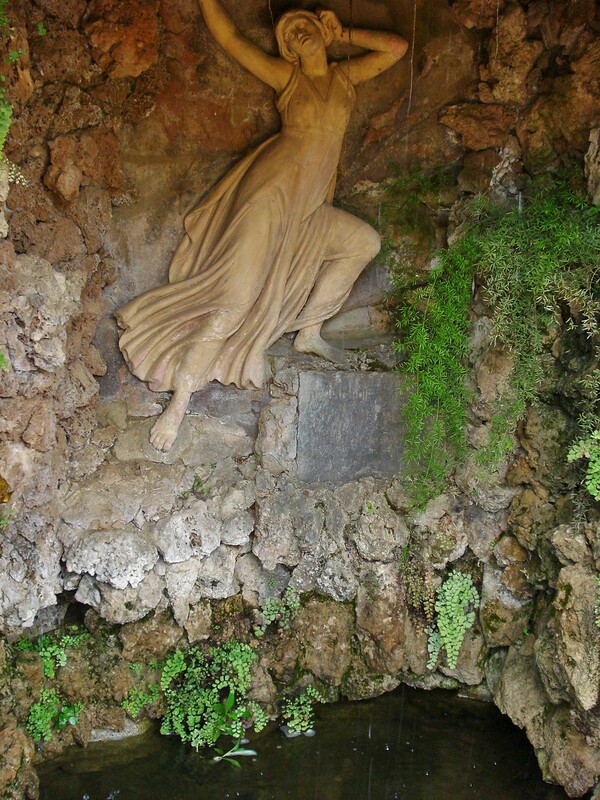 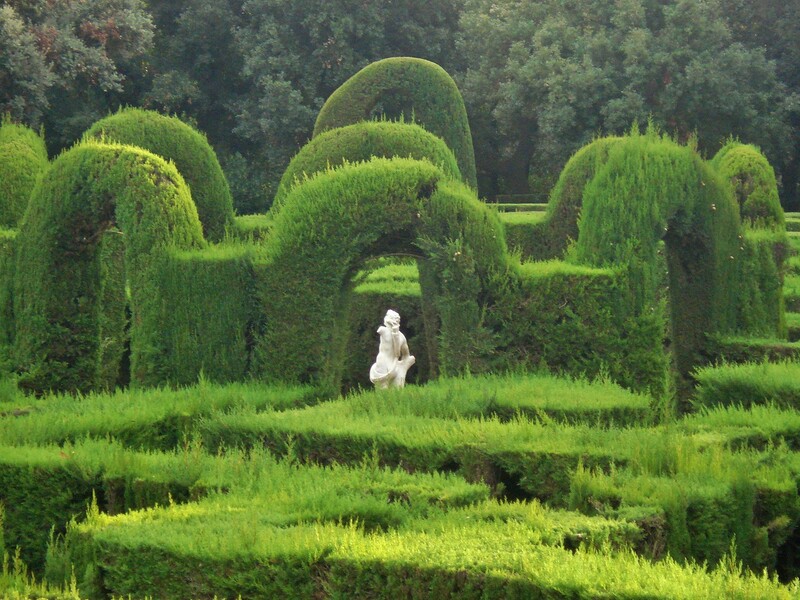 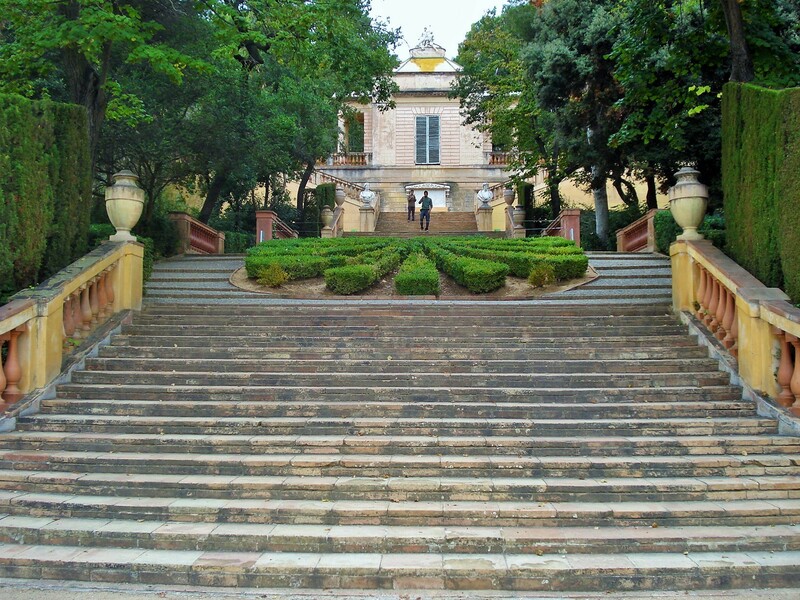 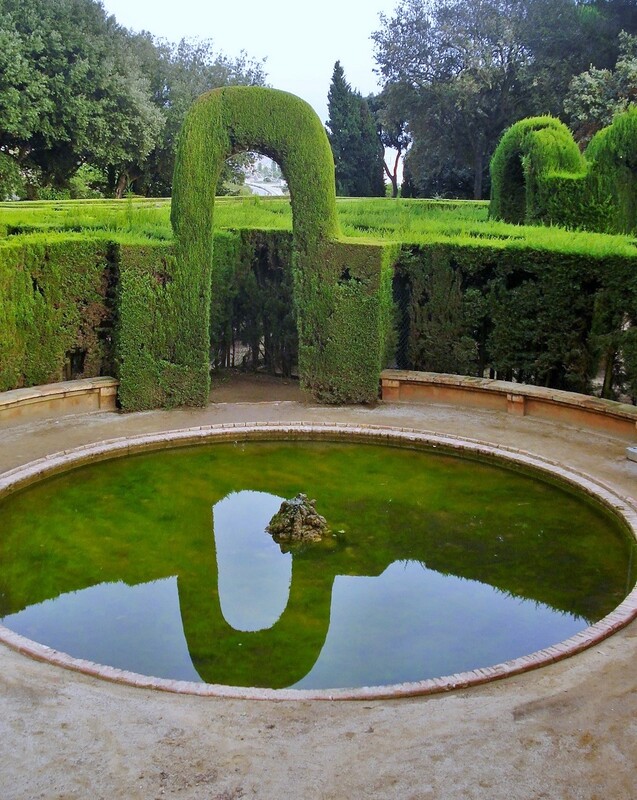 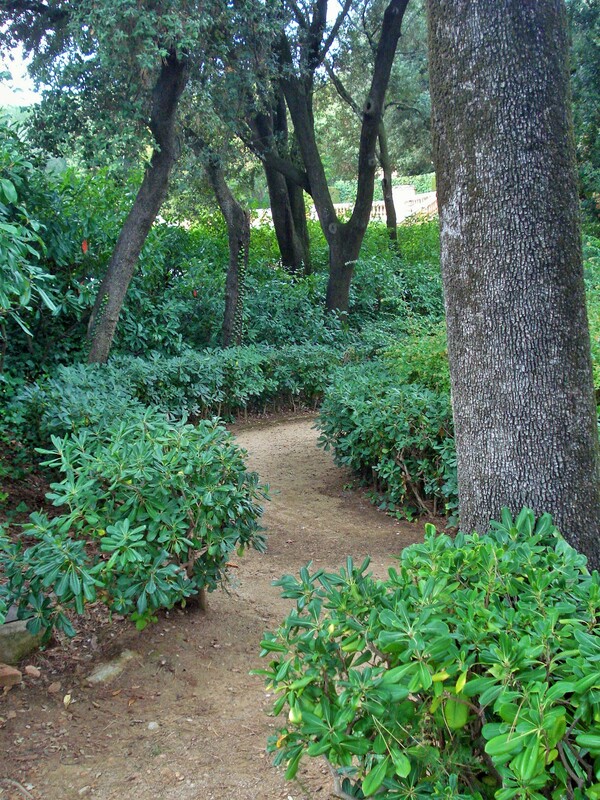 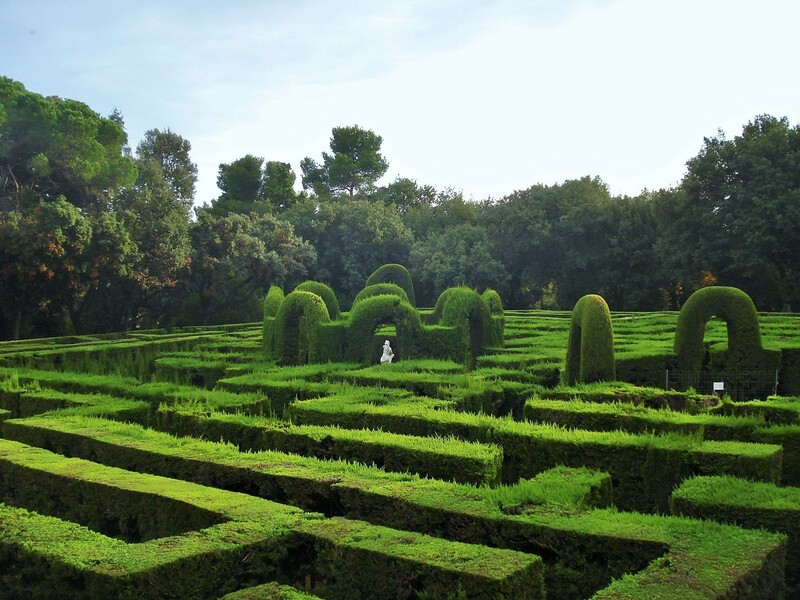 Located in the Horta district in northern Barcelona, the Labyrinth Garden was created in the late 18th century by the owner of the estate, marquis Joan Antoni Desvalls i d’Ardena, who commisioned Italian garden architect Domenico Bagutti. 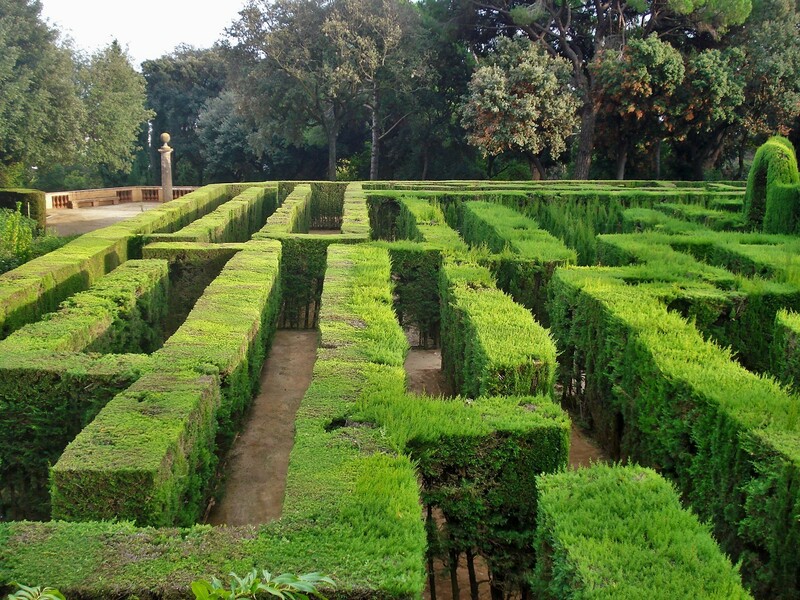 This is when the maze was created and part of the gardens in the neo-classical style. 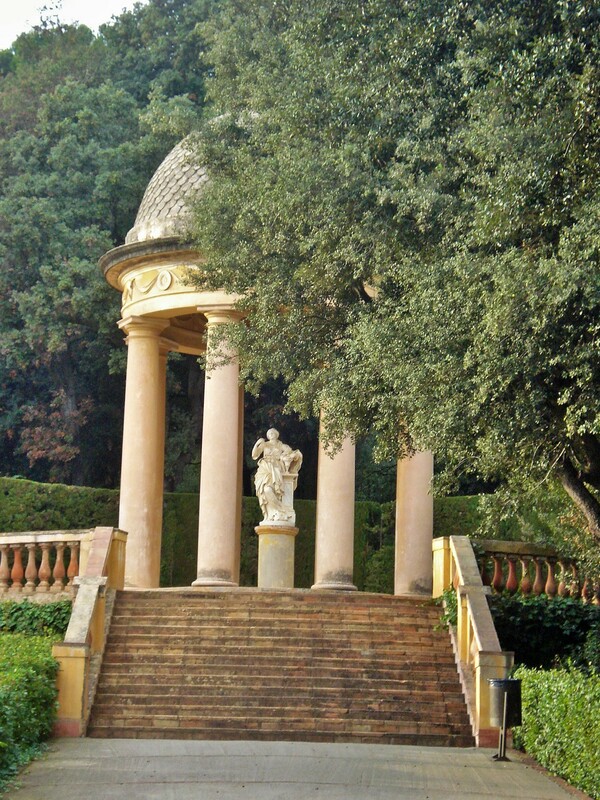 In the mid 19th century, the gardens were then expanded by the marquis descendants to expand the garden in the romantic style with a waterfall, large trees, gazebo, statues, and flower beds. 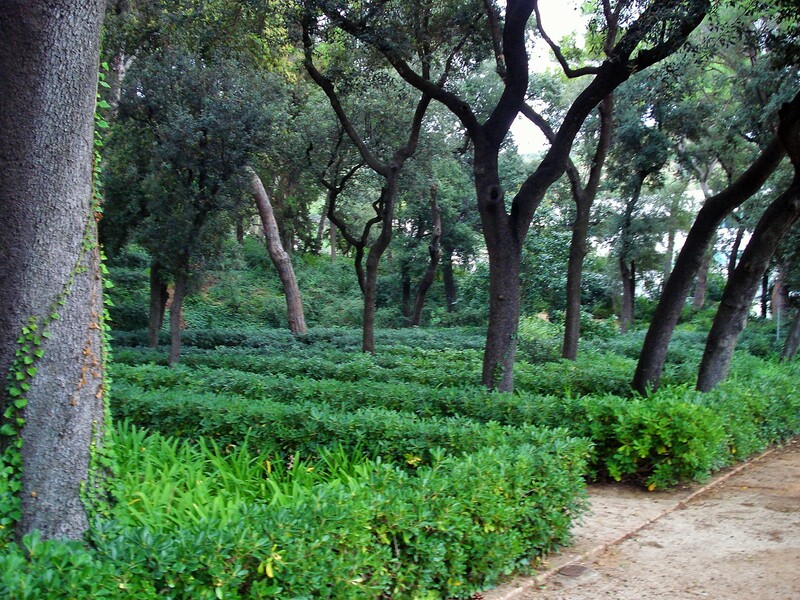 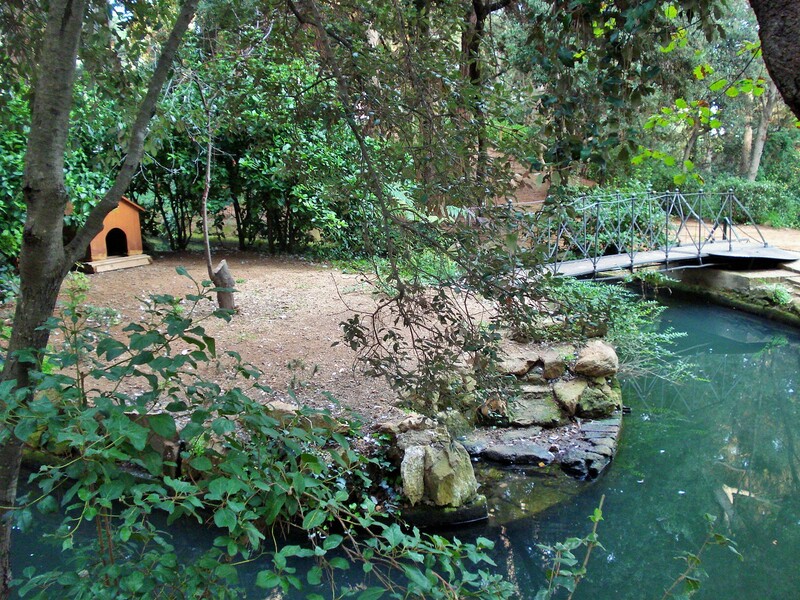 This garden is the oldest of its kind in Barcelona. 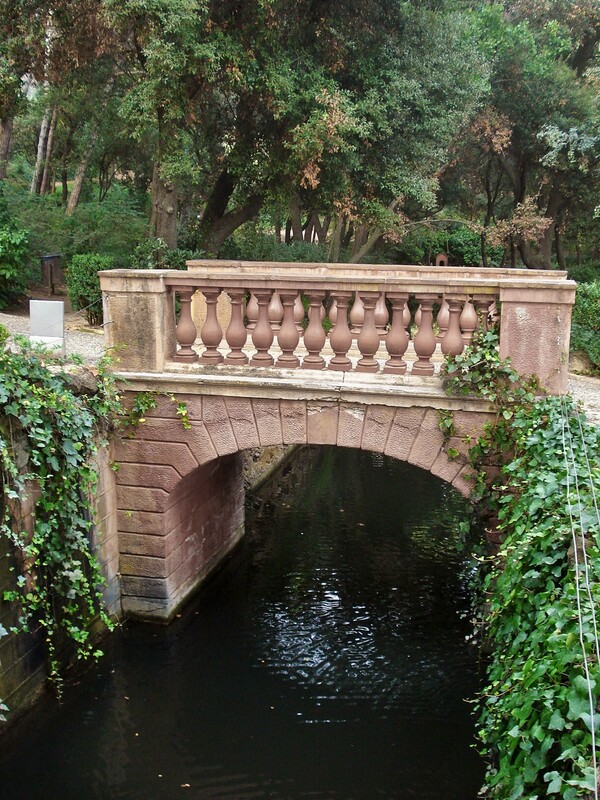 The family turned it over to the city in 1967, and it opened as a public park in 1971. 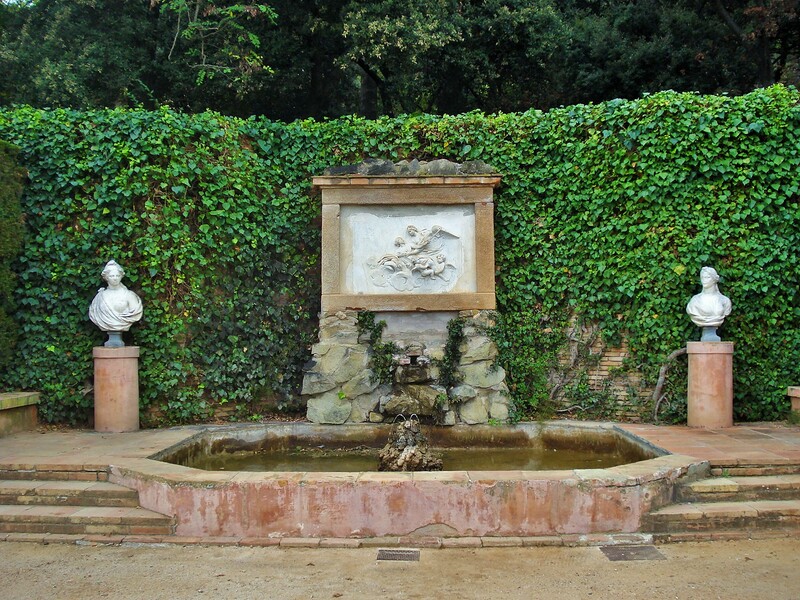 To read more about this garden, click here, here, or here for Wikipedia. 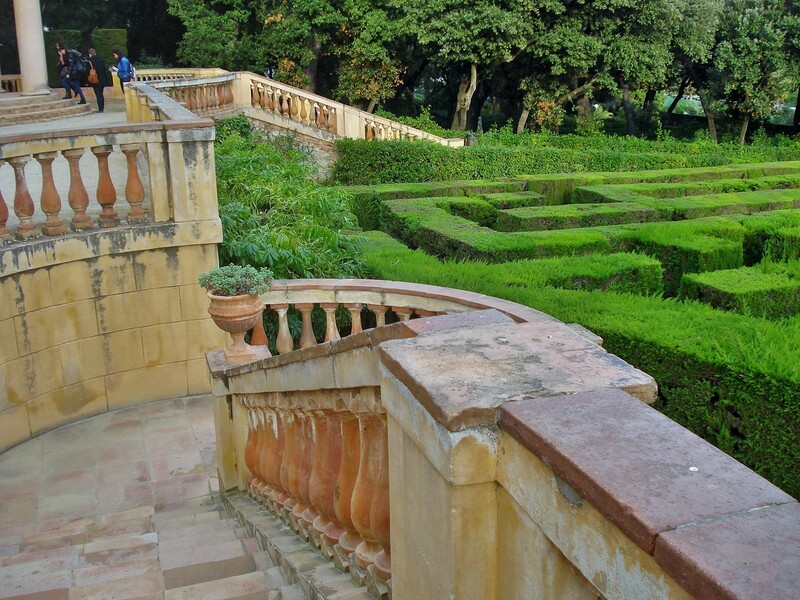 The park can be roughly divided into three main areas: the first includes the country house and adjacent gardens, the second would be the 18th century maze and pavilion, the third includes the romantic garden and waterfall. 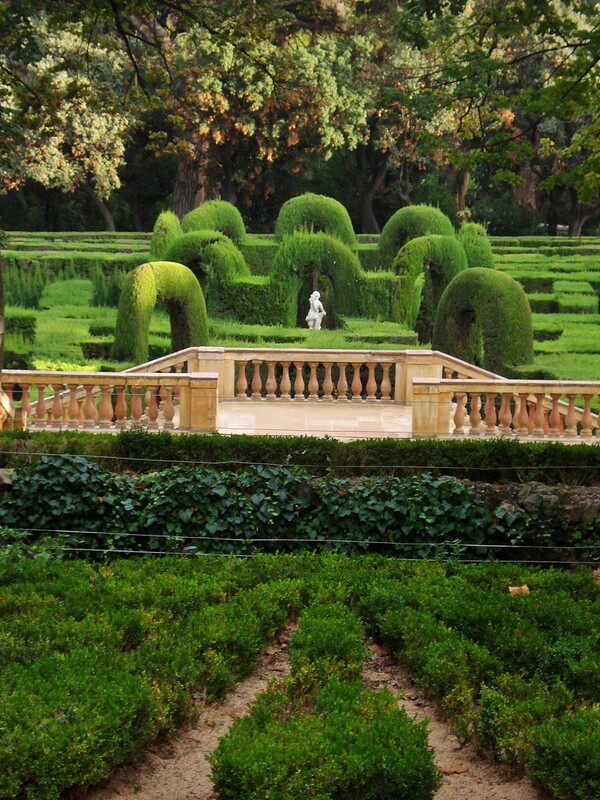 In this post, I will feature the centerpiece of the park, the original 18th century maze. 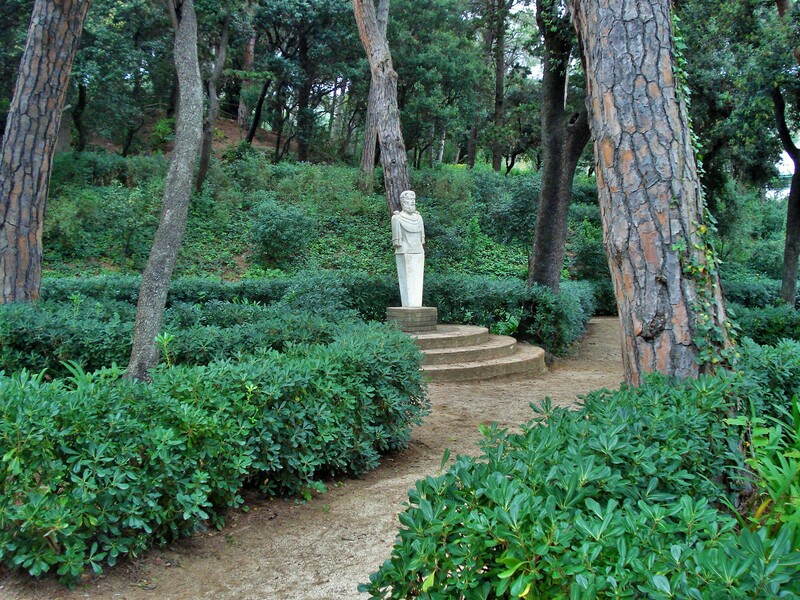 Three terraces lead up to a large pavilion dedicated to the nine muses. 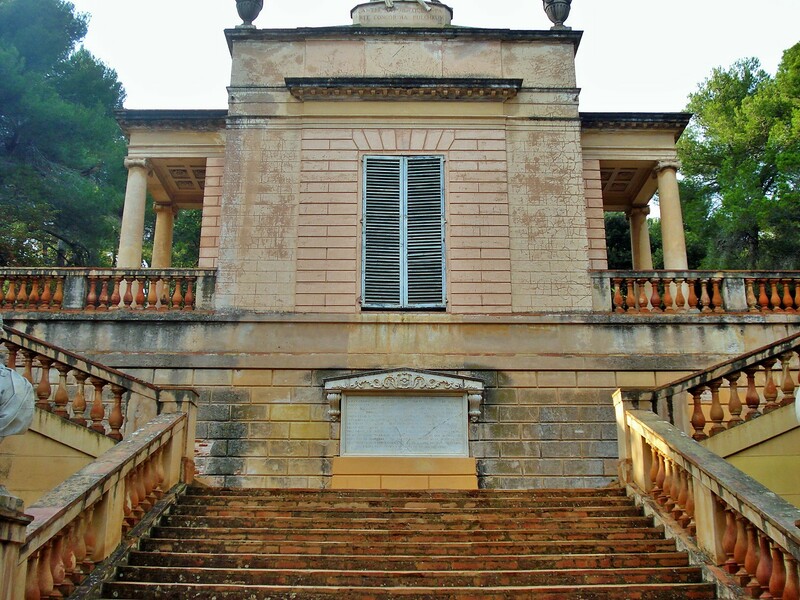 The intermediate terrace is flanked by two small open pavilions, inspired by Roman temples.